Resting snugly at the north end of Maui’s world-famous Ka’anapali Beach, the oceanfront Kaanapali Beach Club offers a memorable Hawaiian experience like no other. With access to exciting water activities, wonderful restaurants with local cuisines, and some essential amenities for a lasting vacation, a timeshare resale or rental at Kaanapali Beach Club is a one-of-a-kind experience that can also saves you thousands of dollars off the retail price! 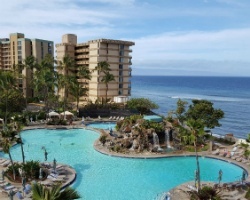 What’s My Ka'anapali Beach Club Timeshare Worth? Travel to Kaanapali Beach Club Resort and you’ll enter the perfect escape to an exotic island along the breathtaking shores of Maui. Surrounded by tropical scenery and fascinating wildlife, the resort area is perfect for beach-lovers and sea-explorers alike. Go for a snorkeling adventure in the sapphire blue waters, embark on a boat cruise for a special whale watching expedition, or head out on a scenic hike to take in all the surroundings of this wonderful paradise. Kaanapali Diamond Resorts is within reach to some amazing restaurants and outdoor cafes offering the finest local cuisines and plenty of excellent bars which add to the rich nightlife of the area. Inside your Kaanapali Beach Club timeshare suite, you’ll be greeted to beautifully-appointed amenities including a king size bed, a sofa bed with a Tempurpedic mattress, and a full bathroom featuring a garden bath and walk-in shower. Guests have access to a full kitchen equipped with state-of-the-art appliances including a refrigerator, dishes, dishwasher, microwave, toaster, cooking utensils and more. These one- and two-bedroom units also come with additional in-room amenities such as Internet, cable television, DVD player, and your own private balcony or lanai. Start planning your dream Maui vacation today! Call our friendly timeshare resale specialists at 1-877-815-4227 or fill out the form on the right for more information. Kaanapali Beach Club rentals and resales offer more benefits than you might have thought. Owners still acquire the same luxurious accommodations and amenities that you would normally get at this amazing resort, but you’ll save thousands of dollars off transacting on the secondary market for a for-sale-by-owner property. Our advertising prices have been fairly assessed based on the current resale market, and aren't bloated with hidden fees like most of the developer’s final costs. Our inventory hosts advertisements for fixed or floating weeks in any season of the year in our inventory. Annual, biannual, and biennial vacation ownership options are available to choose from. Some ownership for Diamond Resorts properties also comes in the form of Diamond timeshare points, which may be used to book smaller vacations at other Diamond Resorts locations. While some restrictions may apply to resale owners, they still won’t cancel out the added benefit of savings you’ll accrue which could reach up to 70% off the retail price! Kaanapali Beach Club Resort is owned and operated by Diamond Resorts International. Diamond Resorts is a leader in the vacation ownership industry, offering owners full access to the renowned service and amenities that Diamond Resorts provides at all of their properties. The brand features three separate types of vacation ownership. The first is THE Club Diamond, the brand’s points-based ownership; second, the DRI Collection/Trust Points is a points-based membership limited to a specific “collection" of regional Diamond Resorts; and lastly ownership can come in the form of a traditional deeded timeshare week at a single Diamond Resort. Kaanapali Diamond Resorts timeshare resale owners will only see the third ownership option in our inventory, as there are some restrictions to obtaining a points-based ownership program on the resale market. However, resale owners do have the option of upgrading their Diamond ownership to a points-based membership for added benefits. There is a way you could extend your vacation options even further; by purchasing a membership to one of Kaanapali Beach Club's affiliated exchange companies, RCI or Interval International. RCI and II are the two largest timeshare exchange companies in the world, offering over 7,000 and 2,900 resorts in their programs, respectively. By purchasing a membership to one of these programs, owners will have the opportunity to deposit their timeshare week into the exchange pool for a chance to vacation to a new destination in countries all around the world. Based on the stellar reviews of the resort’s service and accommodations, Kaanapali Diamond Resorts has been awarded the RCI Gold Crown rating and the Interval International Premier Resort rating, allowing owners the highest amount of trading power with which to exchange their timeshare weeks. All of the essential amenities and conveniences are at your disposal at Ka’anapali Beach Club. The almost year-round sunshine is encouraging for all water sports and pool activities. Enjoy an enormous outdoor pool with a water slide, an outdoor hot tub, and an outdoor children’s pool. The atmosphere lends itself to some amazing opportunities for outdoor activities such as fishing, cycling, horseback riding, hiking, mountain climbing, parasailing, scuba diving, surfing, windsurfing, volleyball, tennis, and more. 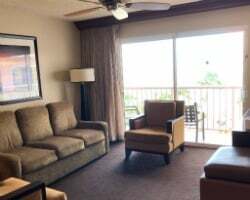 Kaanapali Beach Club Resort also offers conveniences such as a beauty salon, housekeeping services, laundry facilities, massage services, medical facilities, currency exchange, on-site parking, an on-site spa, dry cleaning and much more. It’s all waiting for you here under the warm Hawaiian sun at Kaanapali Beach Club, so call us today! 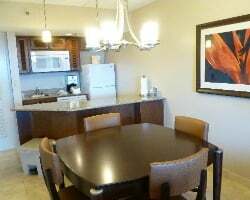 Already Own at Ka'anapali Beach Club?